Really nice, I want a pair... however idea is not new. Few years ago sony produced something like that, but price was very high and quality not good enough. 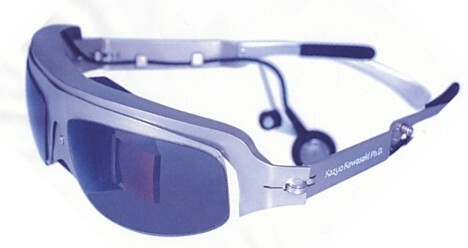 You can use these glasses with various sources, such as a portable media player or your cell phone. This technology promises to eliminate the dizziness phenomenon usually associated with this kind of display. And with these glasses weighing only about 40 grams, you�ll feel that you�re viewing a 40-inch screen from a distance of 7 feet. Portsmouth web design offers top web design services in Portsmouth. In our organization, we not only create best design strategy with user friendly navigation but also fulfill the visitor's understanding and requirement. We produce professional website designs for our clients in Portsmouth by our highly professional team of skilled designers.